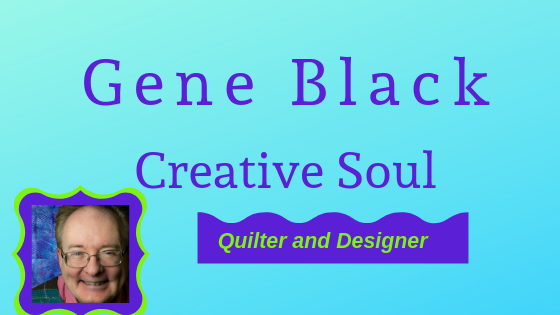 Gene Black an Alabama Artist and Quilter: Heading toward a 2nd Finish? My Arrowheads and Old Italian block quilt has been languishing in the pile since I last worked on it June or July of 2017. But the quilt was started (gasp!) in 2015. Gracious me, how did I let it go that long? I suppose I was off chasing different "squirrels." Today, Saturday February 3, I pulled out the five pieces of it and started joining it together. It is now in two big pieces. Here they are laid across my bed. 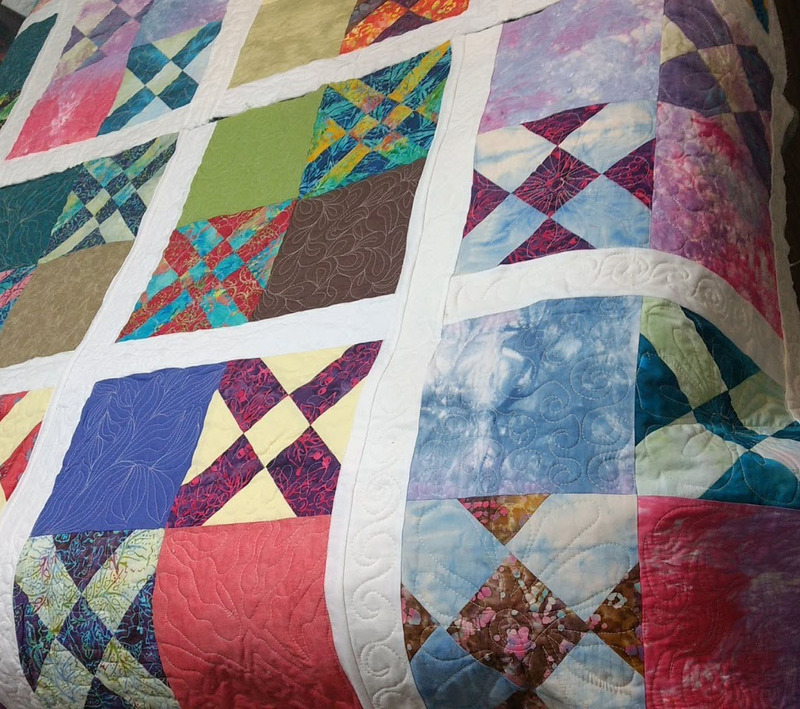 I took the picture from two angles hoping that you could see most of the quilt. I was really happy to see that it will fit my bed nicely when it is finished. I have only to cut the two LONG joining strips and get it joined into one piece. Then I can bind it and have finish #2 for this year. However, I am taking the rest of today and possibly all of tomorrow off - so it will be next week before I get it joined etc. This past week I did my volunteer ushering job again. 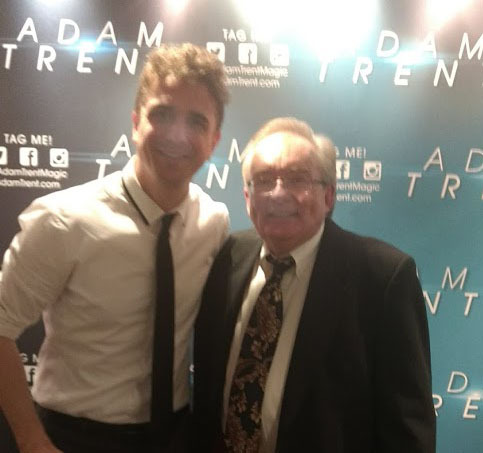 Our guest entertainer was billed as "The Illusionists present Adam Trent." Adam Trent is an illusionist or a magician who has a rather elaborate stage show. He was kind enough to sign autographs and take photos with the crowd after the show. Of course, I jumped right in with the children of all ages and got my photo made too. This is a cellphone photo and the lights didn't play well with the lens -so the picture is a bit blurry. Things on the calendar for this week include of course finishing this quilt; rehearsing with community theater for our upcoming performance of Arsenic and Old Lace; a doctor's office visit; and the usual chores and exercise classes. Craftsy is still offering a seven day free trial on the Unlimited plan. 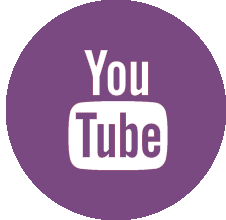 As you know, I am a Craftsy affiliate so if you click on one of these links, I get paid, but you still get the same great price. So we both win. That is great that the quilt was far enough along to get to the finish line so quickly. Now that you are on a roll, maybe you will find a third one to finish soon too. 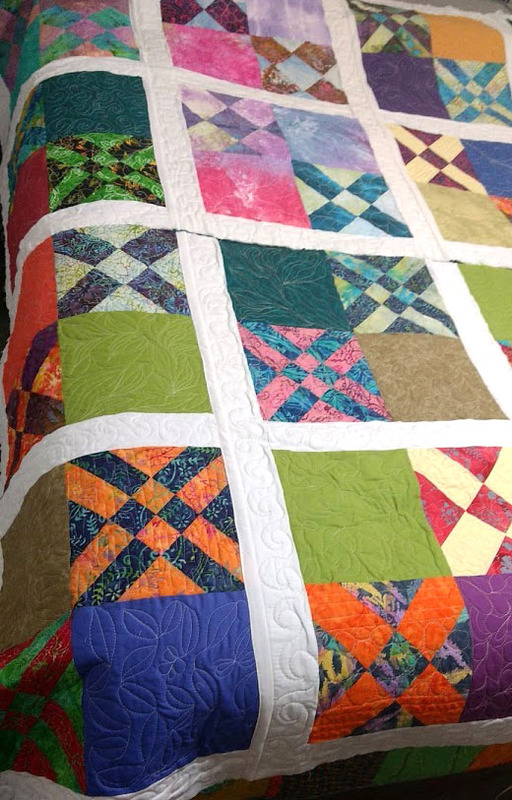 A finish can be a great inspiration to find another:) This quilt turned out great! I see that you have this quilted while it is still in strips. A quilt as you go technique? I've never really understood how to seam sections together *after* they have been quilted. I have a quilt top I'd like to do that way. Do you know of any tutorials showing how?